This was posted 9 months 13 days ago, and might be an out-dated deal. 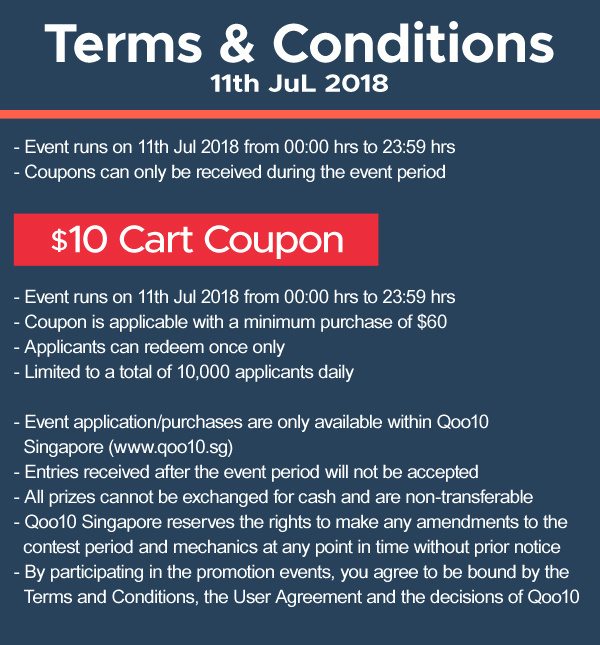 New mid-week Qoo10 cart coupon - receive $10 off when you spend $60. Limited to the first 10,000 applicants.